LCD Soundsystem have been teasing their comeback album for quite some time now, and full details about its upcoming release are finally here. The new record is called American Dream and it will arrive on September 1. The album features 10 tracks, and as expected, previously shared cuts "American Dream" and "Call the Police" will both appear on the LP. See the full tracklisting down below. American Dream marks the studio follow-up to 2010's This Is Happening, though the band did release a live recording of their 2011 "farewell show" at Madison Square Garden called The Long Goodbye in 2014. Of course, there are also some totally unauthorized reissues of the band's earlier work on the way, as well. 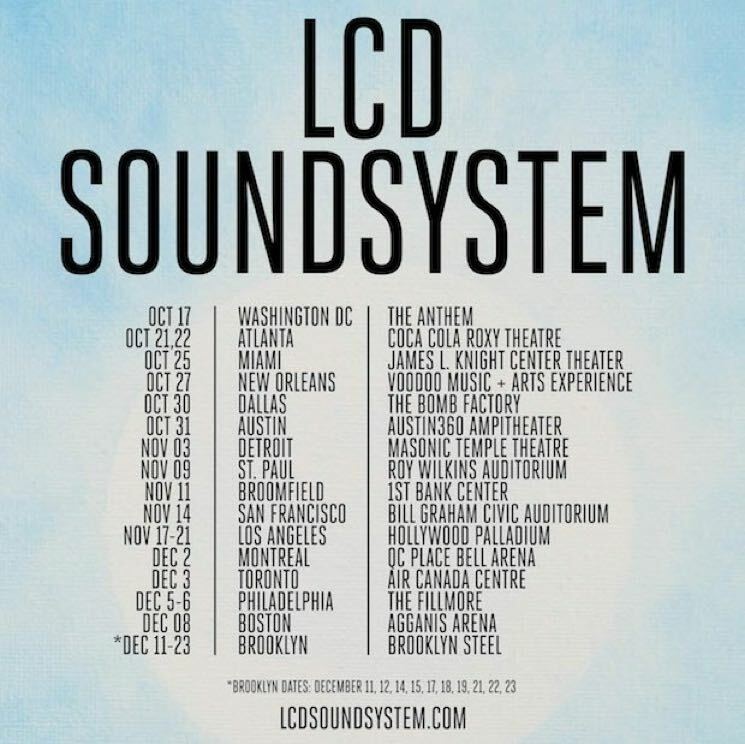 In conjunction with the arrival of American Dream, LCD Soundsystem have mapped out European and North American tour dates for this fall. They'll bring their show to Canada for a couple stops, playing Laval on December 2 and Toronto on December 3. The full run will wrap up with a whopping 10-night residency at Brooklyn Steel in their home base of Brooklyn, NY. Tickets go on sale this Wednesday (June 21). See the full list of upcoming shows below.